Wholesale ordering is currently not available online. 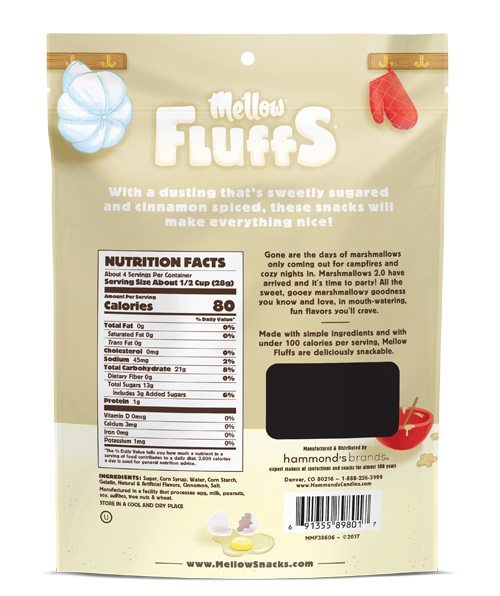 To order Mellow Fluffs for your retail location. 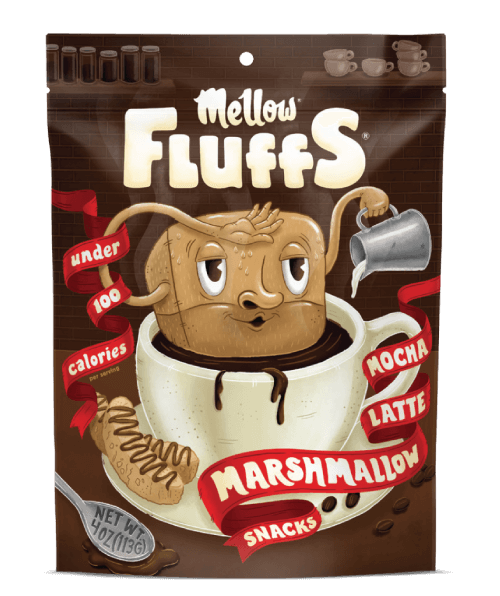 Say hello to a new generation of marshmallows! Gone are the days of bags in the back of the pantry waiting for crispy treats to be made or s’mores to be stacked. 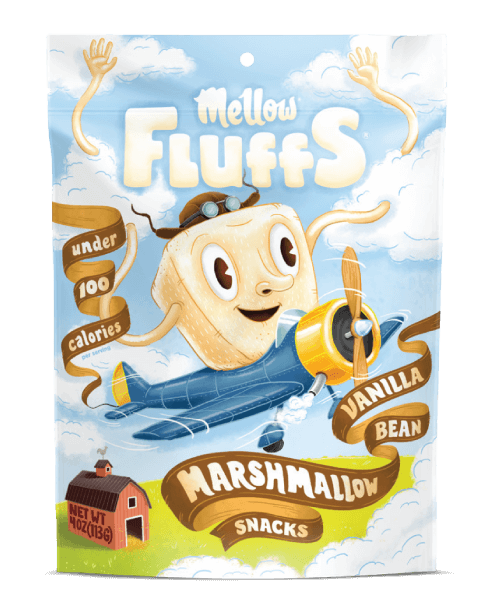 Mellow Fluffs make marshmallowy goodness an everyday snack with fun flavors you'll crave. 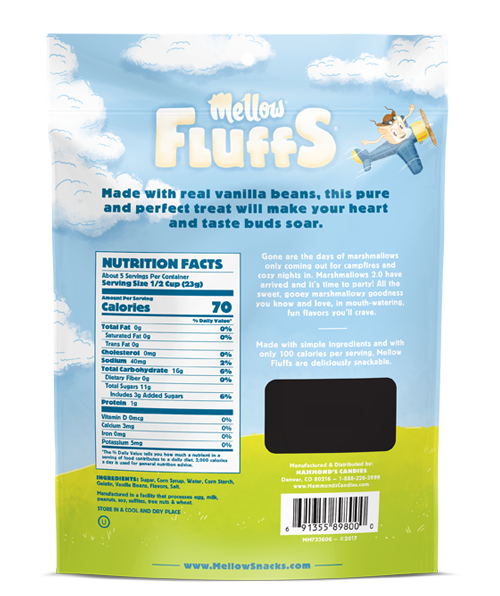 Free ground shipping on orders of $40 or more with code "Fluffs"
Made with real vanilla beans, this pure and perfect treat will make your heart and taste buds soar. 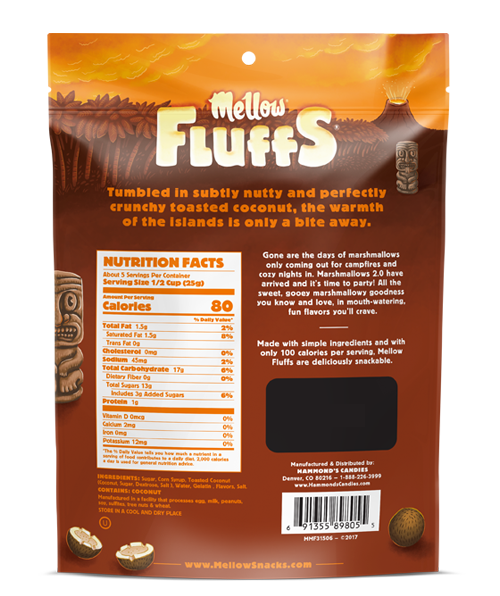 Tumbled in subtly nutty and perfectly crunchy toasted coconut, the warmth of the islands is only a bite away. With a wholesomely sweet graham cracker crust and a tart key lime kick, feeling the island vibes is as easy as pie. With a dusting that’s sweetly sugared and cinnamon spiced, these snacks will make everything nice! 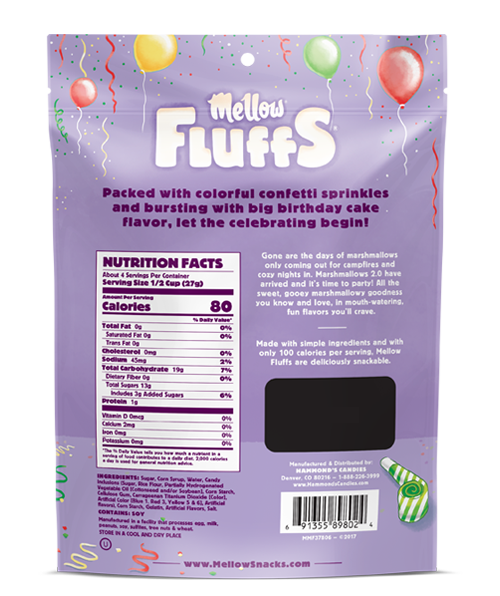 Make sure you always have your favorite Mellow Fluffs flavor on hand and simply indulge! Your sweet tooth will thank you, and at just 100 calories per serving, you can treat yourself without regret. 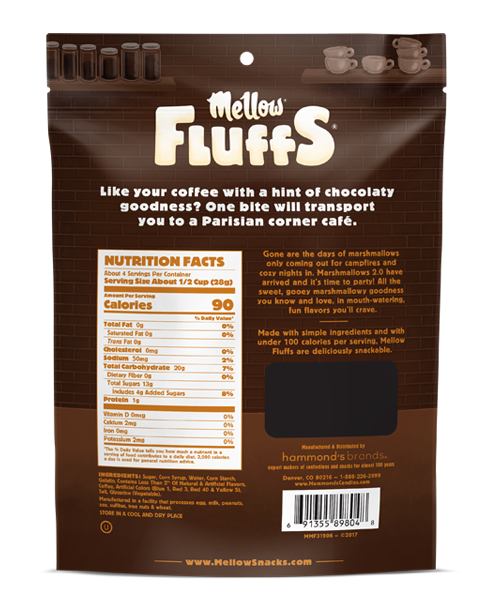 Top your coffee with Mocha Latte or Vanilla Bean Mellow Fluffs to make your morning sweeter. 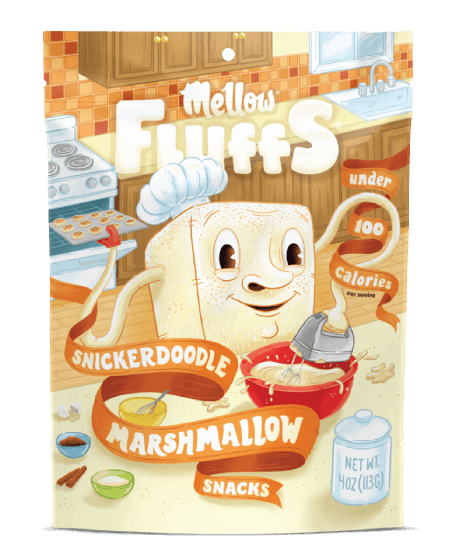 Mix it up by adding Mellow Fluffs to a bowl of your favorite savory snacks—think popcorn, pretzels, peanuts… Yum! 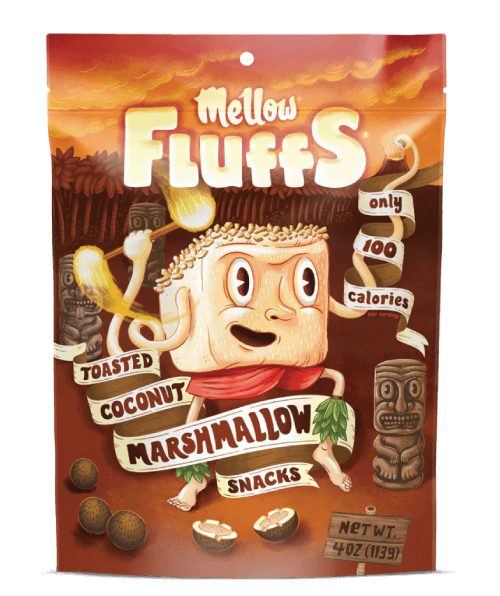 Grab a skewer and dip Mellow Fluffs into melted chocolate for a deliciously decadent snack. 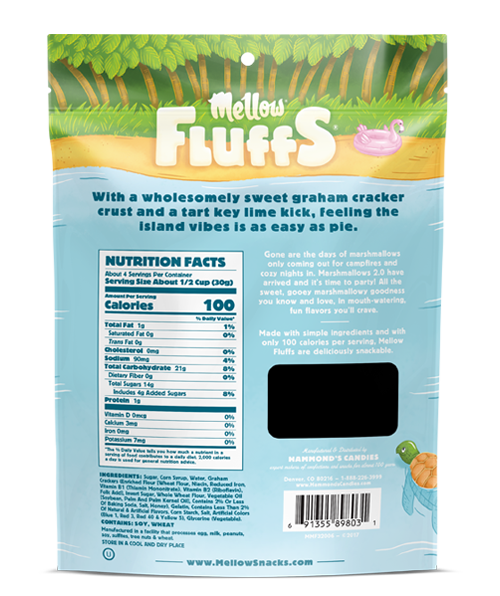 Make a Mellow Fluffs kabob! Stack your favorite flavors on a skewer and toast them for a scrumptious treat. Treat every day like it’s your birthday! 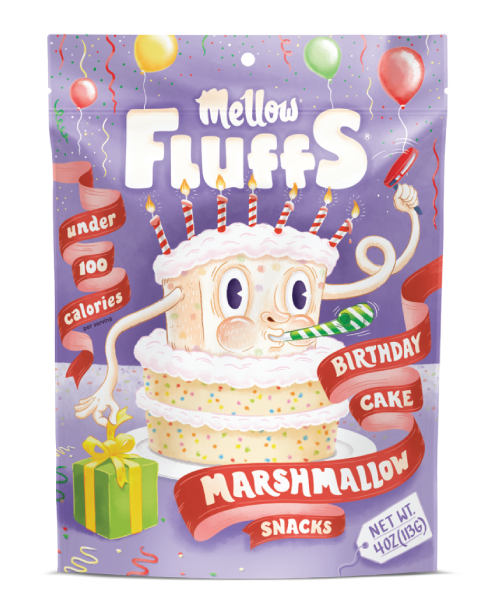 Indulge your cake cravings with Birthday Cake Mellow Fluffs—and don’t forget to make a wish! Add a delicious twist to a classic recipe. 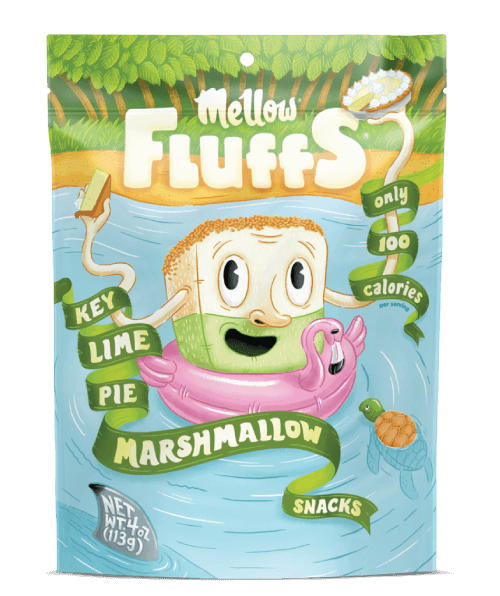 Next time you crave crispy treats, substitute plain marshmallows with your favorite flavor of Mellow Fluffs.